If upon receipt, the item is not what you expected, no problem, no questions, 5 DAY money back guarantee ( buyer pays shipping). Our carbon fiber products are warranted against manufacturing defects for a period of ninety (90) days following proof of delivery. Please refer to our warranty tab for details. Motocomposites reply: Hi, as you didn't leave your name or order #, please contact us so that we can take a look at the finish of your part. Perfect fit and matches carbon fiber on stock exhaust pipe perfectly. Very happy with the quick delivery and perfect fit and looks! I bought this as one of the first carbon piece's on my S1000R, fit and finish is spot on! Excellent product! 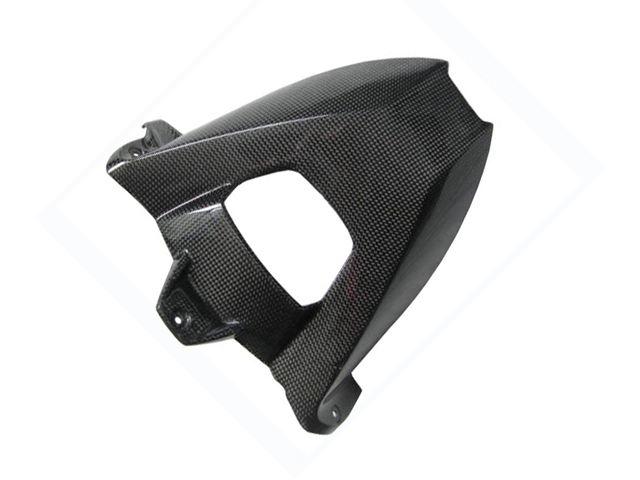 I have purchased carbon fiber products over the years having owned Ducati's and this carbon is of high quality! Very nice product and excellent customer service which is hard to find these days! I will buy from Motocomposites again. Took slightly over a week to arrive which is reasonably fast. Packaging was very well done. Had about 4 layers of protection excluding the box itself which will almost guarantee the product will arrive unharmed. Finishing and weave is really professionally done.